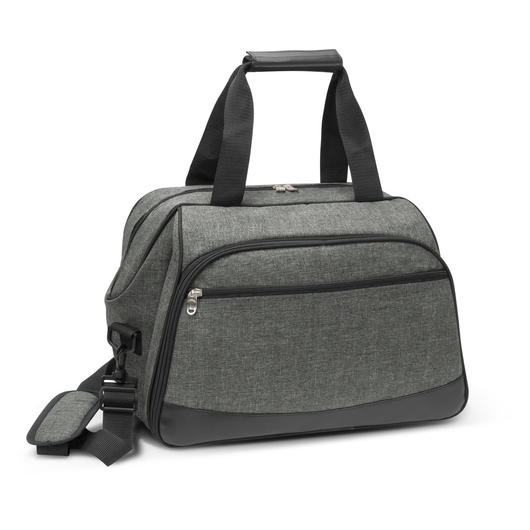 Easy, convenient and fashionable. A must have for picnics! A four person picnic backpack that includes everything to have a wonderful experience. 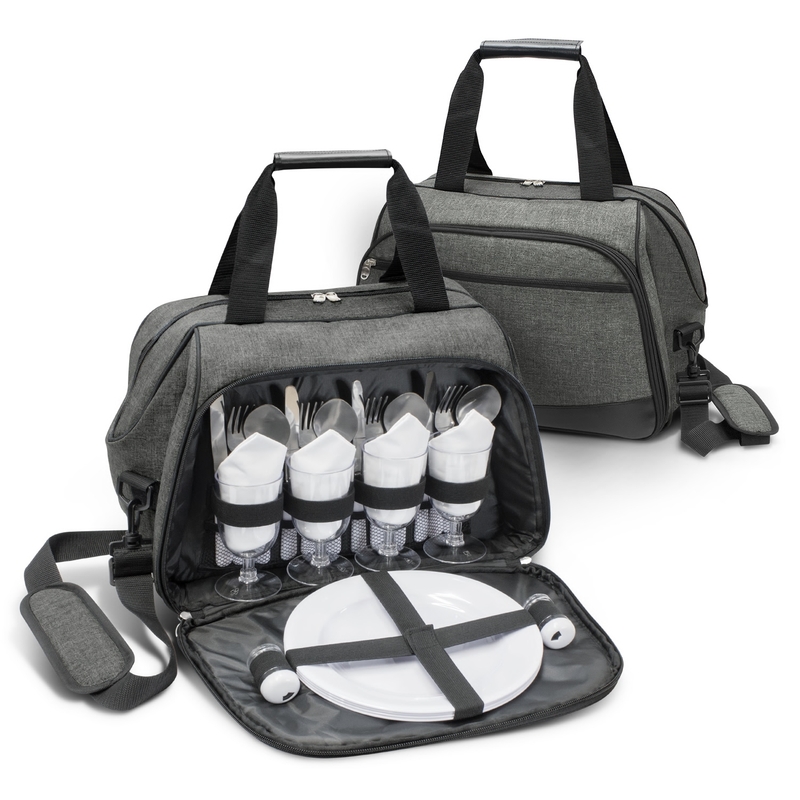 They have a large zippered cooler compartment which is lined with thick PE foam insulation encased in a waterproof PEVA inner liner. 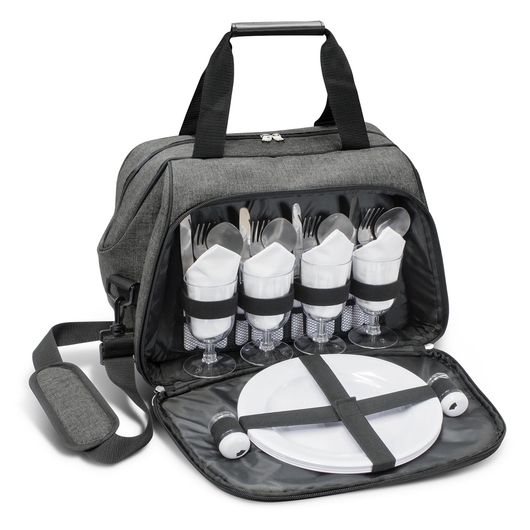 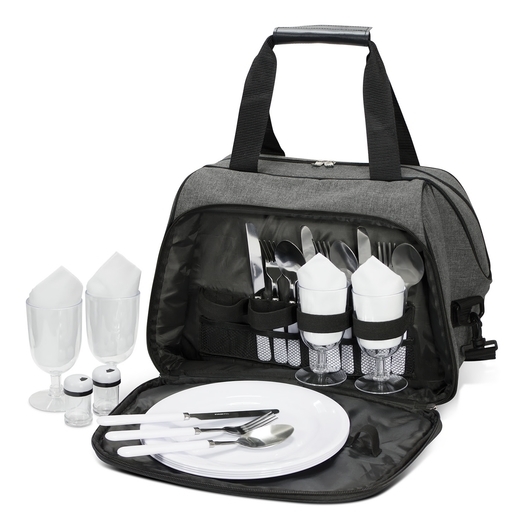 The side compartment has a zip around closure that allows it to open out to 90 degrees revealing plates, cutlery, napkins and glasses for four people as well as salt and pepper shakers. Other features include an external zippered pocket, carry handles with a PU/Velcro wrap and a removable shoulder strap which is adjustable and has a comfortable shoulder pad.